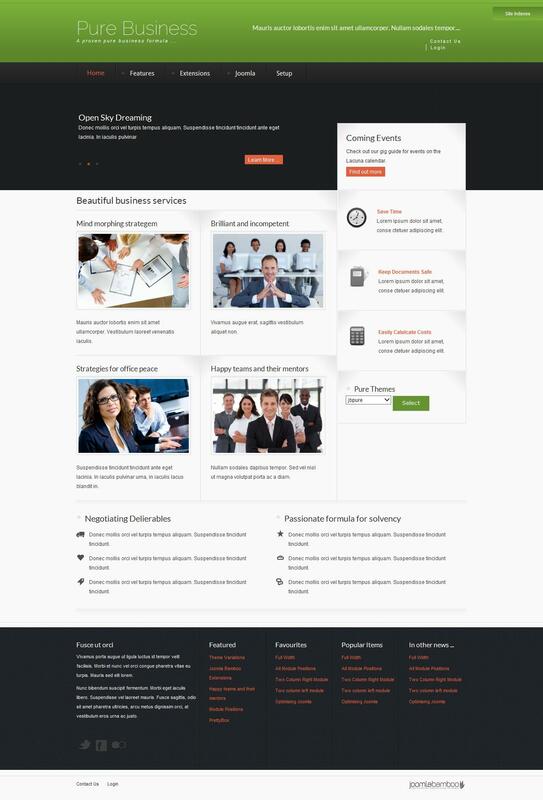 JB Pure - quality business template theme developers JoomlaBamboo, which is perfect for creating corporate projects. Using powerful platform Zen Grid Framework template gives high functionality, faster download speeds and taiga gives you the opportunity to customize the layout according to the requirements of the development site. This template supports component K2, additional extensions to it and contains a huge amount of colors design with the possibility of combining different colors. Universal modular design consisting of 50 positions for modules provide all the elements required placement on the site. Documentation is available to work with proprietary framework allows you to quickly understand the key features and parameters of the template.